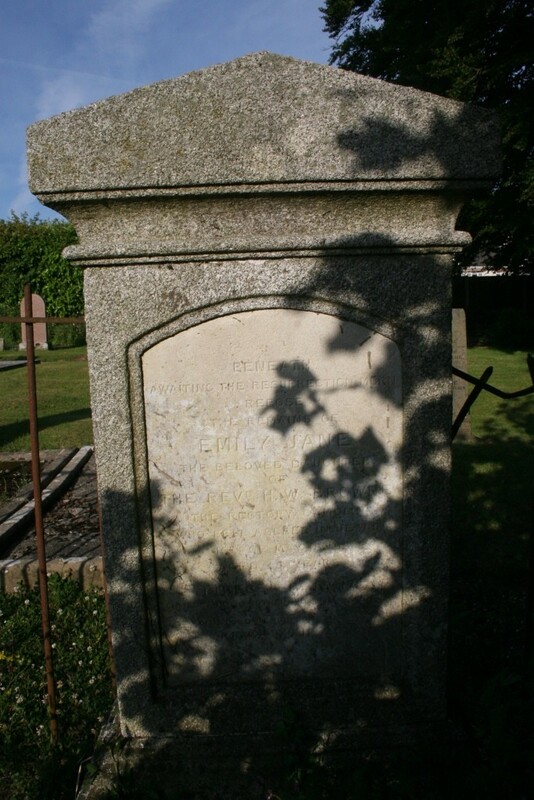 Beneath awaiting the resurrection morn repose the remains of Emily Jane Browne the beloved daughter of the Revd. H.W. 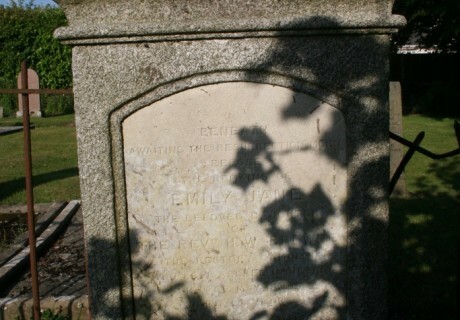 Browne The rectory, Camolin who fell asleep in Jesus 10th of May 1859 aged 15 years. 1 Thessns. IV. 13-17. Comfort one another with these words . Come lord Jesus come quickly. Revon. XXII. 20.